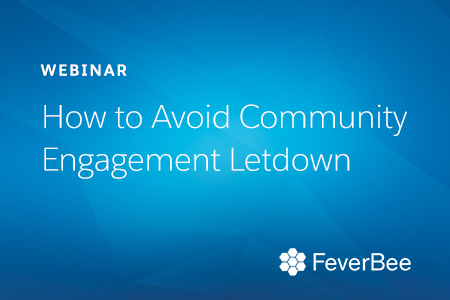 Webinar: How to Avoid Community Engagement Letdown. Has this ever happened to you: you’ve launched your community, it starts to grow, but over time fewer and fewer people show up? This is one of the major challenges facing community professionals today (along with demonstrating clear ROI). Peer to Peer Interaction: The best types of discussions to initiate and how to sustain them. Content: Creating content that helps build a stronger sense of community and increases activity. Advocacy: How to design events that generate long-term activity. Community Journeys: Aligning your activities with your member's motivational touch points. You’ll come away inspired to do more with your community, and we’ll help you get started with a handy community management tool. It will be shared in the webinar, so please join us. Learn how Planet Fitness, the fastest growing gym franchise in the U.S., relies on Community Cloud and Service Cloud to effectively onboard and collaborate with franchisees, and provide unparalleled customer support.